When DHCP snooping is enabled, the lease information from the server is used to create the DHCP snooping table, also known as the binding table. The table shows current IP-MAC bindings, as well as lease time, type of binding, names of associated VLANs, and associated interface. A. It allows the access port to accept tagged voice and untagged data packets. B. It allows you to apply independent CoS actions to data and voice packets. 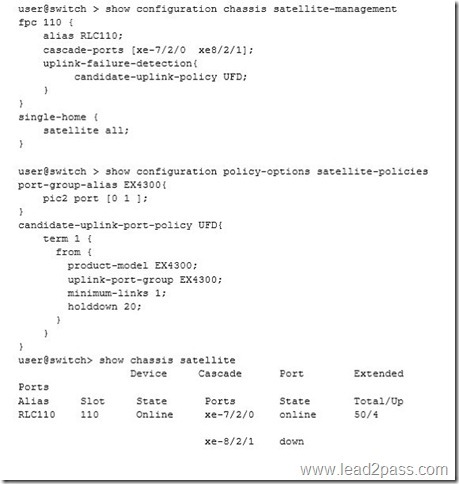 C. It can be used with LLDP-MED to dynamically assign the VLAN ID value to IP phones. D. It allows trunk ports to accept tagged voice and untagged data packets. E. It must use the same VLAN ID as data traffic on a defined interface. 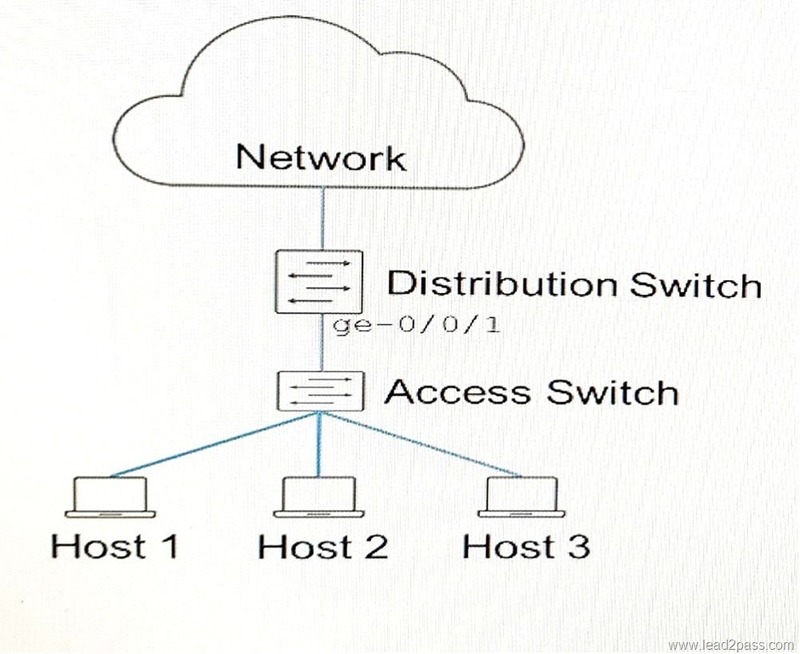 A (not D): The Voice VLAN feature in EX-series switches enables access ports to accept both data (untagged) and voice (tagged) traffic and separate that traffic into different VLANs. B: To assign differentiated priority to Voice traffic, it is recommended that class of service (CoS) is configured prior to enabling the voice VLAN feature. Typically, voice traffic is treated with a higher priority than common user traffic. Without differentiated treatment through CoS, all traffic, regardless of the type, is subject to the same delay during times of congestion. C: In conjunction with Voice VLAN, you can utilize Link Layer Discovery Protocol Media Endpoint Discovery (LLDP-MED) to provide the voice VLAN ID and 802.1p values to the attached IP phones. This dynamic method associates each IP phone with the appropriate voice VLAN and assigns the necessary802.1p values, which are used by CoS, to differentiate service for voice traffic within a network. A. An active route can contribute only to a single aggregate route. B. Only one aggregate route can be configured for each destination prefix. 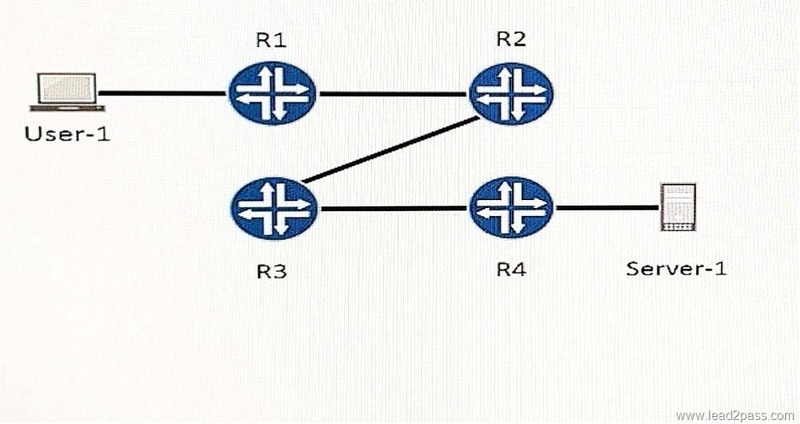 C. An aggregate route has a default next hop of an IP address. D. An aggregate route always shows as active in the routing table. A route can contribute only to a single aggregate route. You can configure only one aggregate route for each destination prefix. Which device is used to separate collision domains? 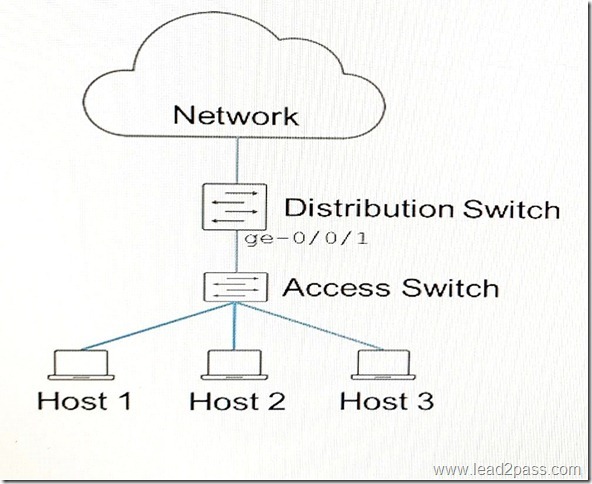 Modern wired networks use a network switch to reduce or eliminate collisions. By connecting each device directly to a port on the switch, either each port on a switch becomes its own collision domain (in the case of half duplex links) or the possibility of collisions is eliminated entirely in the case of full duplex links. IS-IS hello (IIH) PDUs broadcast to discover the identity of neighboring IS-IS systems and to determine whether the neighbors are Level 1 or Level 2 intermediate systems. Link-state PDUs contain information about the state of adjacencies to neighboring IS-IS systems. type: administrator: assigned-number. type is the type of extended community and can be either the 16-bit numerical identifier of a specific BGP extended community or one of these types: origin– Identifies where the route originated. 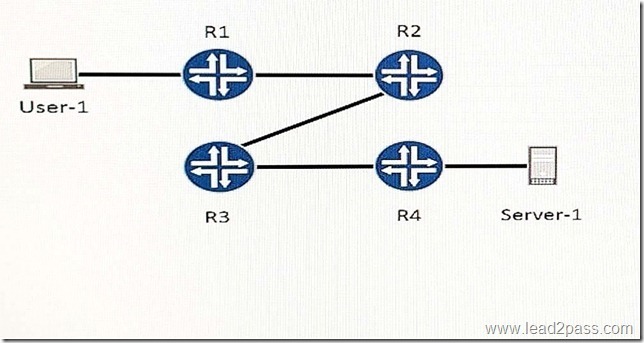 domain-id– Identifies the OSPF domain from which the route originated. target– Identifies the destination to which the route is going. bandwidth– Sets up the bandwidth extended community. Specifying link bandwidth allows you to distribute traffic unequally among different BGP paths. rt-import– Identifies the route to install in the routing table. src -as– Identifies the AS from which the route originated. You must specify an AS number, not an IP address. A. If a priority tie occurs, the router with the lower subnetwork point of attachment (SNPA) value becomes the DIS. B. 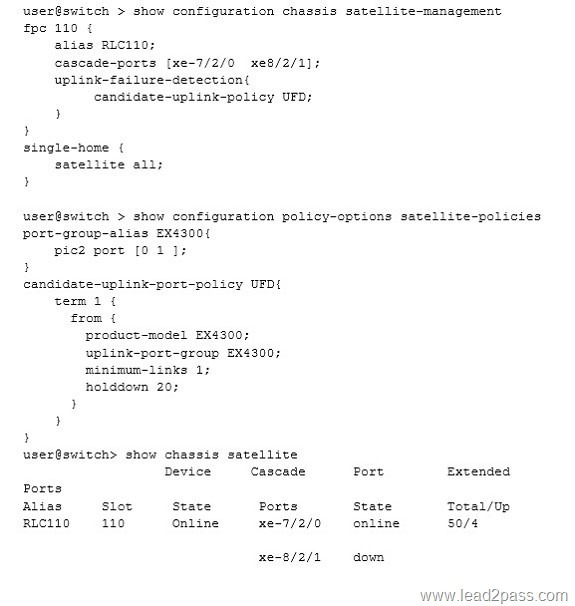 If a priority tie occurs, the router with the higher subnetwork point of attachment (SNPA) value becomes the DIS. C. The router with the lower priority value becomes the DIS. D. The router with the higher priority value becomes the DIS. In IS-IS, deterministic DIS election makes the possibility of predicting the router that will be elected as DIS from the same set of routers. The router advertising the numerically highest priority wins, with numerically highest MAC address, also called a Subnetwork Point of Attachment (SNPA), breaking the tie. Host-1 was recently added in the network and is attached to ge-0/0/10 on Switch-A. Host-1 is powered on and has its interface configured with default Layer 2 settings and an IP address on the 172.17.12.0/24 IP subnet. 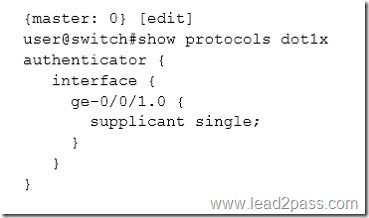 Host-1’s MAC address is not shown in Switch-A’s bridging table. A. The ge-0/0/10 interface is configured as an access port. B. The ge-0/0/10 interface is not operationally or administratively up. C. The ge-0/0/10 interface does not have an associated IRB. D. The ge-0/0/10 interface has not received any traffic from Host-1. E. The ge-0/0/10 interface is configured as a trunk port. Interface down–The MAC address is learned on an interface that is down. 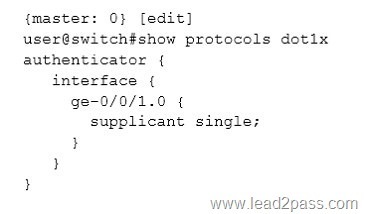 C: To configure the MAC address of an IRB interface Etc. Router-1 and Router-2 need to connect through the Internet using a tunneling technology. Hosts that are connected to Router-1 and Router-2 will be sending traffic up to 1500 bytes. The maximum segment size is supported across the path is 1520 bytes. Which tunneling technology will allow this communication to take place? Difference Between GRE and IP-IP Tunnel. Generic Routing Encapsulation (GRE) and IP-in-IP (IPIP) are two rather similar tunneling mechanisms which are often confused. In terms of less overhead, the GRE header is 24 bytes and an IP header is 20 bytes.